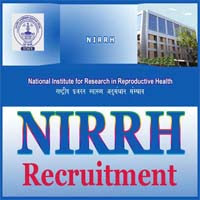 National Institute For Research in Reproductive Health(NIRRH Sarkari Naukri 2019), is a Research Institute of the Indian Council of Medical Research. It was previously known as the Institute of Research in Reproduction. Applicants who have Completed Graduate in Nursing Pass / social work/sociology/psychology/ or equivalent from a recognized Institute for NIRRH Sarkari Naukri 2019. Eligible & Interested candidates can Download Notification From Official website page at www.nirrh.res.in NIRRH Sarkari Naukri 2019.